Rose Garden Butterfly Gold by David Textiles. 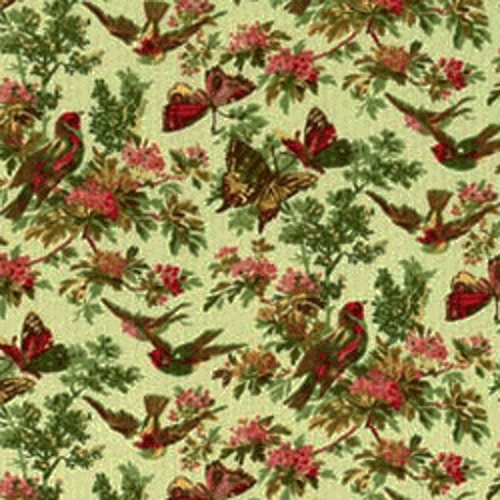 Beautiful small scale print of butterflies and redbirds on a floral sage green background. Autumn\Fall colors. Perfect for quilting, clothing or crafting.